Whimsical Cat wearing a crown and mice nearby. 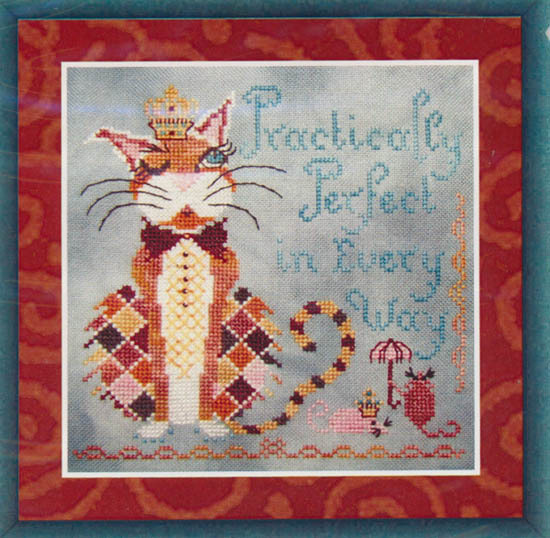 "Practically Perfect in Every Way". Count: 90 x 90. Model stitched on 28ct Twilight Mist Hand-dyed Jobelan by Wichelt.